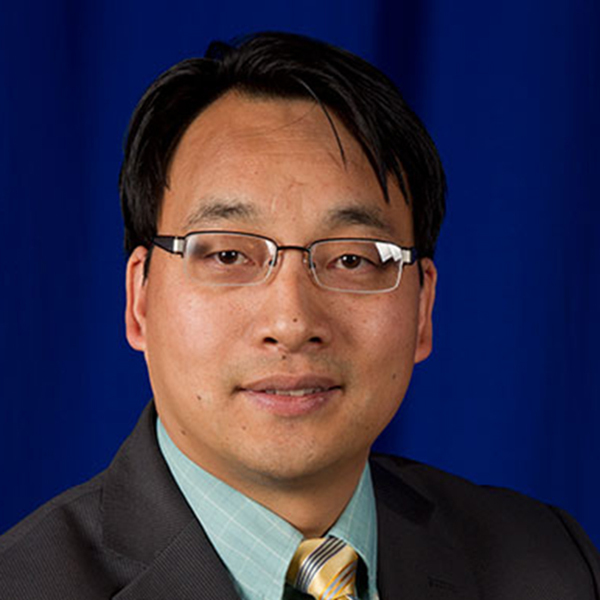 Jian Wang, professor of mechanical and materials engineering. Jian Wang, professor of mechanical and materials engineering, recently received a three-year, $799,270 grant from the U.S. Department of Energy to develop testing and modeling procedures that can better predict the ductility of iron-chromium-aluminum (FeCrAl) alloys that can be used in next-generation nuclear power facilities. The award is part of the DOE’s Nuclear Energy University Program (NEUP), which aims to maintain U.S. leadership in nuclear research across the country by providing faculty and their students opportunities to develop innovative technologies and solutions for civil nuclear capabilities. Wang’s project will use data obtained in microscalestructural characterization testing of the alloys and create an integrated theoretical, modeling, and experimental platform that can predict the ductility of the alloys in extreme reactor applications. The next generation of nuclear power facilities will be looking to increase efficiency by operating the reactors at higher temperatures (up to 800 degrees Celsius). Wang said there currently is not a way to do long-term testing with low-radiation doses. “Our focus was not only on these materials, but a way to measure and predict behaviors, and that may have been what set us apart from the other proposals,” said Wang, whose expertise is in the field of structural and nano-structural materials. "Thanks to the Nebraska Center for Energy Sciences Research (NCESR), one seed project like this can help develop the competence to work on nuclear materials."